Run, dodge, and smash your way through a variety of crazy race tracks, complete with exploding daisies, running butts, and BALLARINAS! Rival racers are trying to take you down, so gear up, power up, and roll your way to Ballarina victory! 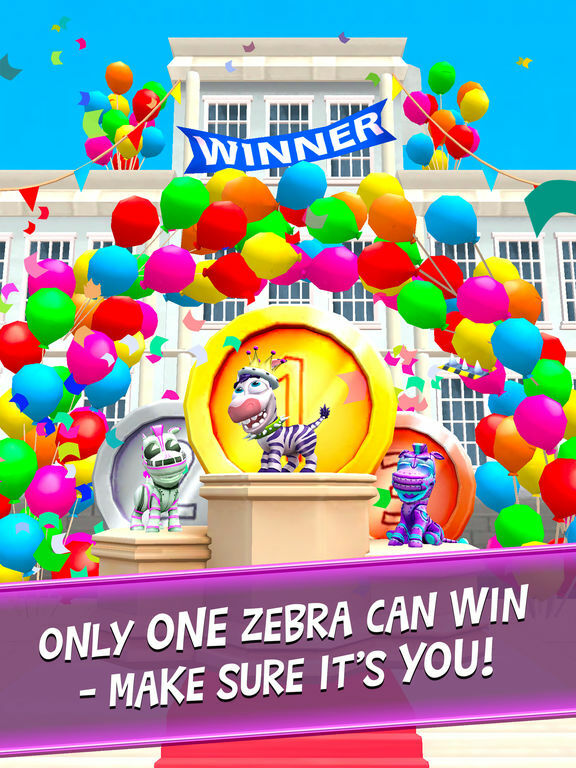 • Customize your Zebra with fun wearables, costumes and more! • Play the way you want to – Tilt or swipe your finger across the screen to use the Joystick control! • Unlock new tracks when you beat each level! • Bump into the dancing Ballarinas to fill your Power Up meter! 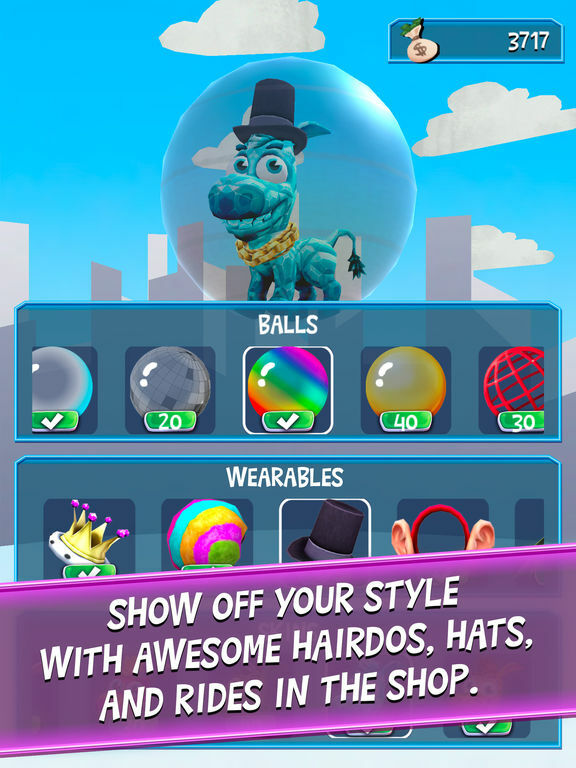 • Use Power Ups to your advantage and win first place! • Avoid obstacles that slow you down! 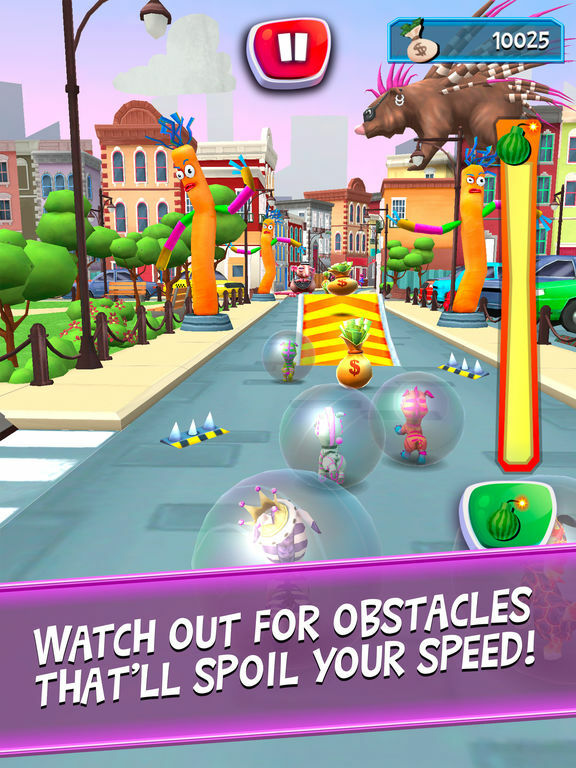 • Defeat rival racers to move up the leaderboards for more fun surprises! 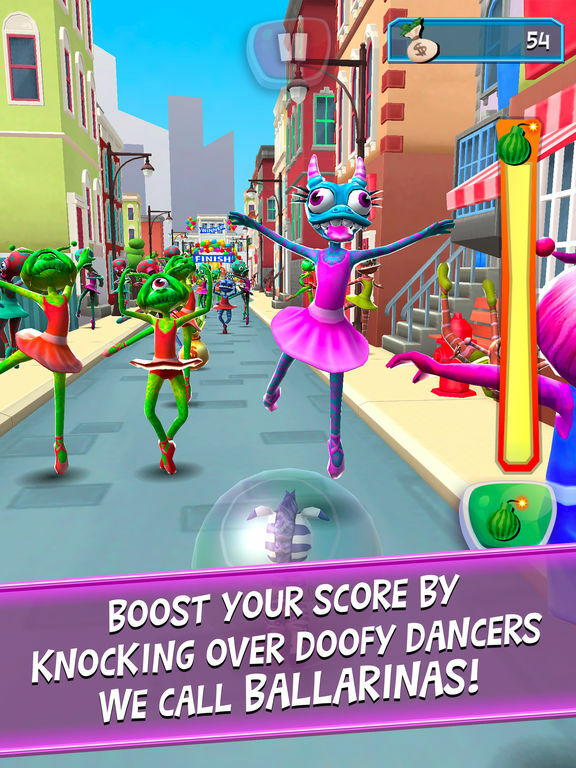 • Play the whole Ballarina game for FREE - no in-app purchases! If you like playing Sky Whale, Nasty Goats, and OctoPie, you’ll love Ballarina. 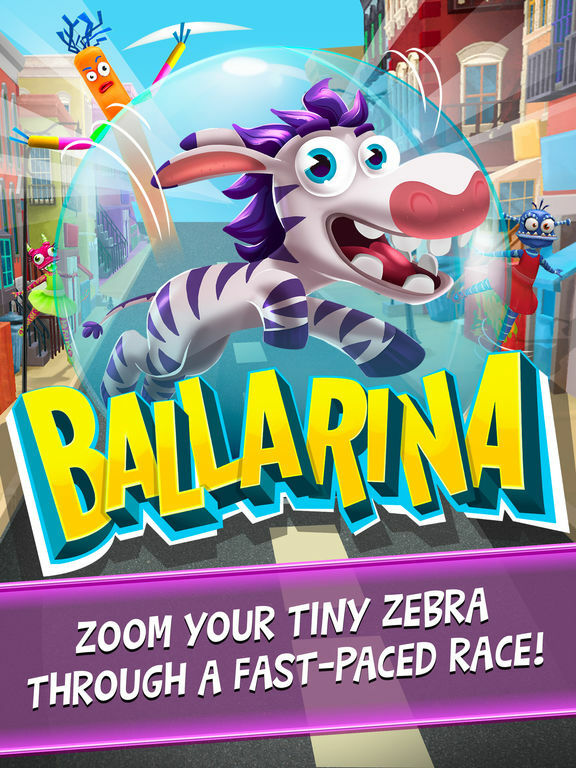 Download the Ballarina app from the Game Shakers TV show and start racing today! For users residing in the EU, Ballarina may include the use of persistent identifiers for game management purposes and installation of this app constitutes your permission to such usage of persistent identifiers for all users on your device.